It’s another history-making moment at Peirce with the election of our new Board Chairman, Katy Theroux. For the first time in the College’s 146-year history, a woman has taken leadership of the board. Ms. Theroux is Senior Vice President, Customer Engagement and Human Resources, for GS1 US, a standards and solutions organization with more than 200,000 members. She brings to the board more than 20 years of leadership experience in global companies. 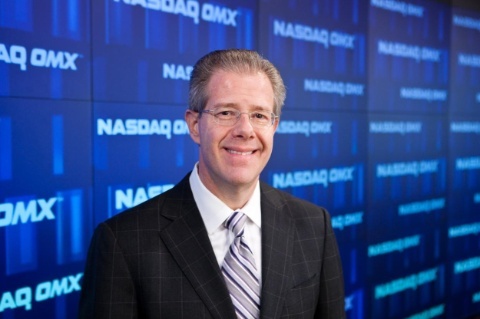 Peirce alumnus Bill Morgan, who serves as Senior Vice President of Global Human Resources for NASDAQ OMX, was named Vice Chairman. For more about Ms. Theroux and Mr. Morgan, read the full news release below. PHILADELPHIA--(BUSINESS WIRE)--Peirce College announced the election of Katy Theroux as Board Chairman of Peirce College at the institution’s annual meeting in Philadelphia. 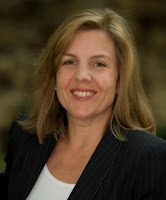 Katy Theroux is Senior Vice President, Customer Engagement and Human Resources, for GS1 US, a standards and solutions organization with more than 200,000 members. She is based at the organization’s headquarters in Lawrenceville, New Jersey. Theroux was appointed to the Peirce board in 2001. In 2008 she chaired the search committee for the president of the College. Theroux has more than 20 years of leadership experience in global companies. Prior to joining GS1 US in 2006, she was Director of Human Resources for Microsoft Corporation, in the company’s Entertainment and Devices Division. Before that, she served as Vice President of Human Resources for First Data Corporation and as Vice President of Human Resources for ARAMARK Corporation. Theroux said, when she joined the board, she saw “a wonderful institution that focuses on non-traditional students.” When she was selecting an institution for her master’s degree studies, she looked for a non-traditional MBA program, “because I needed a lot of flexibility due to my job. So I can relate to the need for flexibility, accelerated programming and high-quality education. The same elements Peirce provides to its students,” Theroux added. At the meeting, William H. Morgan was elected Vice Chairman of the Board. Morgan, who is a Peirce alumnus, joined the Peirce board in 2009. He is senior vice president of global human resources for NASDAQ OMX. He was formerly executive vice president technology and operations and chief information officer for the Philadelphia Stock Exchange (PHLX). “I am very honored to serve as Vice Chairman of the Peirce Board of Trustees. It has been my privilege to serve as a trustee, and I look forward to continuing to work with the management team and Board on our many exciting opportunities and challenges. It gives me great pleasure to give back to my alma mater,” Morgan said. “Peirce College is very fortunate to have trustees with the expertise that Katy and Bill bring to the board,” said James J. Mergiotti, Peirce College President and CEO. “Katy has outstanding leadership qualities and a steadfast commitment to Peirce’s mission. Over seventy-five percent of our students are women, so having a female board chairman provides a very strong synergy with our core demographics. “Bill Morgan is one of Peirce’s most prominent graduates. His extensive business background and knowledge are invaluable to the College’s career-related strategy,” Mergiotti said. Peirce College offers bachelor’s and associate degree programs in the areas of Business, Healthcare, Information Technology and Legal Studies. Located in the heart of Philadelphia, Peirce is a non-profit institution that specializes in serving the unique needs of working adults, many of whom work full time and are raising families. In response to the changing demands of the economy and the prospect for future jobs in the Philadelphia market, Peirce recently introduced additional degree programs in Healthcare Administration, Human Resource Management, Accounting, and Criminal Justice. Peirce College is accredited by the Middle States Commission on Higher Education, 3624 Market Street, Philadelphia, Pennsylvania, 19104 (phone: 267-284-5000). The Accreditation Council for Business Schools and Programs accredits the College's Business Administration program and the Paralegal Studies program is approved by the American Bar Association.